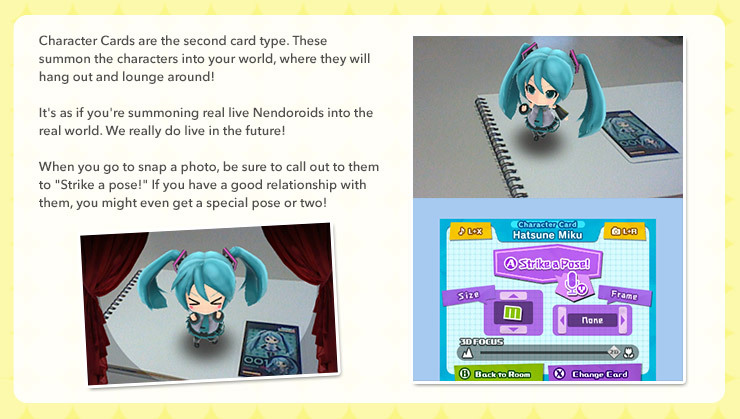 Using the AR Cards, you can summon the characters right into real life! Your room can become your own private concert stage! 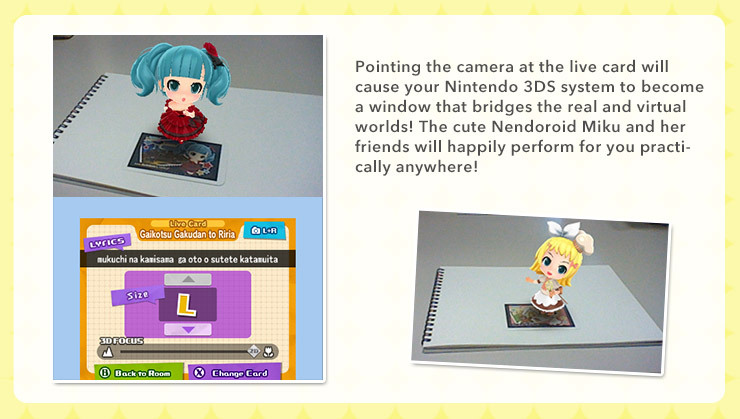 One of the two AR Card types is the "Live Card". These cards summon the characters to perform the song displayed on the card. Set up your own little stage, and have them dance right before your very eyes! * Packaged versions will come with 3 Character Cards and 16 Live Cards, for a total of 19 cards (38 variations, front and back). 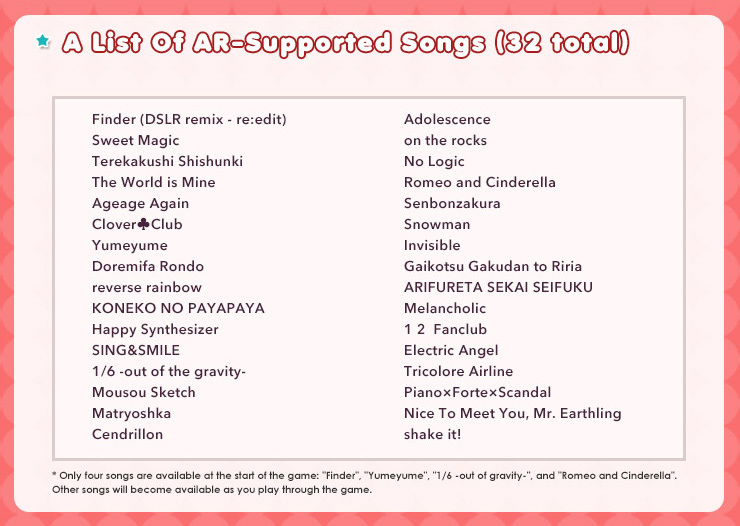 For those who purchase the digital version of the game, you will be able to download copies of the cards from our webpage.